The Toto 48 heavy sinking model is an updated model based on the Toto 48S with added castability and water grabbing ability. It is not simply added with weight, but the angle and shape of the lip has also been changed to help grab the water better. It is not only great for the day-game with a faster retrieval, but also able to grab the intricate currents during slow retrieve for the night-game. The lure will mesmerize your targets through a sharp action produced through the anglers magical rod work! Loaded with a tungsten spherical weight, it will assist anglers as a search bait with its outstanding casting ability and sinking speed. You can simply retrieve the lure for searching a vast area and utilize the stop and fall technique for specific hot-spots. The rolling action with the tail section lowered is just like a struggling bait-fish, flicking the switch on those hungry predators. Repetitive twitching is a vital technique to target small jacks and other small species during the day-game. 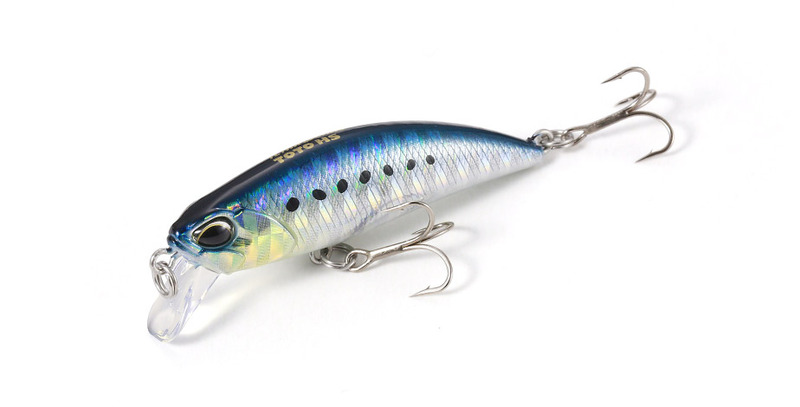 With the angles rod work, the lure will stage a flashing side-to-side action. The heavier body settings will assist anglers when fishing from higher grounds, reducing the likelihood of the lure jumping out of the water, increasing that chance for a bite. This is the panic action when the bait-fish are in pursuit by fish eaters. By maintaining line-slack while jerking the rod, the lure will stage an unpredictable darting action flicking that switch on your target species. The sudden action of the rod will create an escaping type action while the line slack will give the target a moment to take that bite.